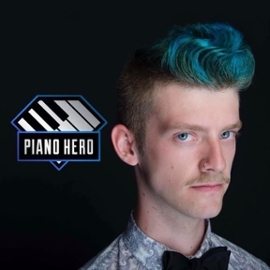 Laurier Music alumnus Darren Creech (BMus ’12) is sitting first out of 243 participants in CBC’s search for Canada’s favourite amateur classical pianist with just over 1,500 votes. Creech's playing has been heralded as "remarkably fresh and enticing" by Toronto Star's John Terauds. He has been featured in recitals at the Royal Ontario Museum and the Canadian Music Centre, collaborating with Juno-nominated composers Norbert Palej and James O'Callaghan. The top 10 pianists in CBC’s Piano Hero competition will advance to the final round, where a jury, which includes Laurier honorary degree recipient and classical pianist Janina Fialkowska, will view their videos to select the winner. Creech graduated from Laurier in 2012 with his Honours Bachelor of Music in piano performance, studying with Anya Alexeyev and Elaine Lau. He has toured major Canadian cities with the National Youth Orchestra of Canada. Creech grew up in Senegal, West Africa, and is currently pursuing a Master of Music at l'Université de Montréal with Maneli Pirzadeh. The grand prize winner will receive a Steinway Piano, a trip for two to Toronto, a video recording session, a lesson from a Grammy-award winning concert pianist and a performance with the Toronto Symphony Orchestra. Voting runs until 11:59 p.m. on Thursday, Jan. 22.